Black TowerPage Liked · 2 hrs · Today is World Smile Day, and we want to put a big ol’ grin on your face! 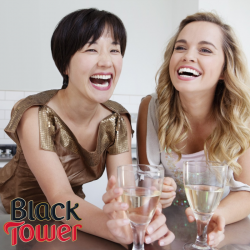 Simply comment below with the word ‘SMILE’ and we’ll select not one, not two but THREE winners at random to receive a case of Black Tower wine! Next PostNext Trump make wine-sell alcohol.